Erez Edelstein will be Maccabi Fox Tel Aviv’s 3rd head coach in less than a year. Even in European basketball, where coaching and player change is quite common, not to mention quick, this kind of turnover for the legendary club rings all kinds of alarms. 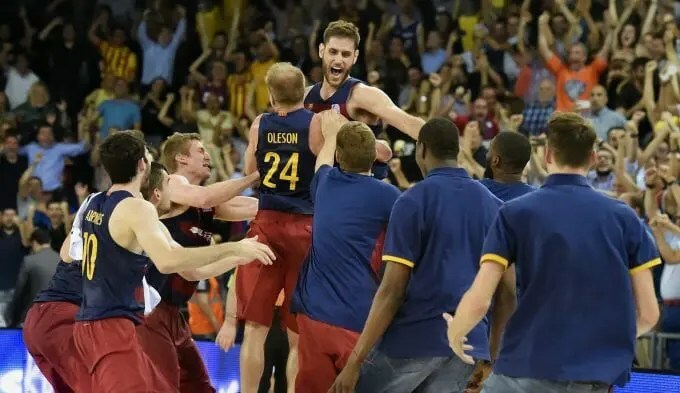 Just two years ago, in 2014, Maccabi was celebrating their 51st Winner League championship and their 6th Euroleague championship, despite entering the Final Four as heavy underdogs to CSKA Moscow (their semi-final opponent) and Real Madrid (their championship opponent). David Blatt was the hottest coach in the game, and Maccabi was the best story in European basketball, a classic case of how teamwork and determination could overcome tremendous money and talent. It was like the movie Hoosiers, only this time the story was taking place in Milan, Italy, not Indianapolis, Indiana. Unfortunately, the luster of that 2014 Euroleague title for Maccabi has worn off quickly. Blatt left Maccabi to go to the United States to explore NBA opportunities (which eventually became the Cleveland Cavaliers head coaching position), and longtime assistant and former Maccabi player Guy Goodes took over the helm. There were some positives during Goodes first season: in the Winner League, Maccabi finished 27-6, won another Israeli Cup, and finished 16-11 in the Euroleague and qualified for the playoffs. Unfortunately, Goodes’ debut season was marred by some tremendous letdowns: Maccabi lost in the playoff semifinals to a 17-16 Hapoel Eliat team 3 games to 2, and they were convincingly swept in the Euroleague playoffs by Fenerbahce. A disappointing end for Goodes and Maccabi in 2014-2015 only compounded to more frustration to start 2015-2016. Maccabi, playing in a difficult group with CSKA Moscow, Spanish club Unicaja Malaga, and German upstart Brose Baskets Bamberg, got off to a 1-3 start in Euroleague group play, the worst four-game start in Euroleague group play for the illustrious franchise in 17 years. And things only got worse domestically as well, as they started they year 3-2, which included an 88-83 loss to Maccabi Ashdod, a team that eventually went 9-13 in Winner League play. The horrid start combined with the deflating finish the previous season was more than enough in Maccabi’s management’s eyes to part ways with Goodes. After firing Guy Goodes, Maccabi hired Croatian Zan Tabak to right the ship…unfortunately, his performance wasn’t good enough. After failing to lure Edelstein (more on this later) and Lithuanian legend Sarunas Jasikevicius (who eventually took over home club Zalgiris Kaunas after a mid-season coaching change), Maccabi settled with Croatian Zan Tabak, a former NBA and European player who had 20 years of playing experience professionally. 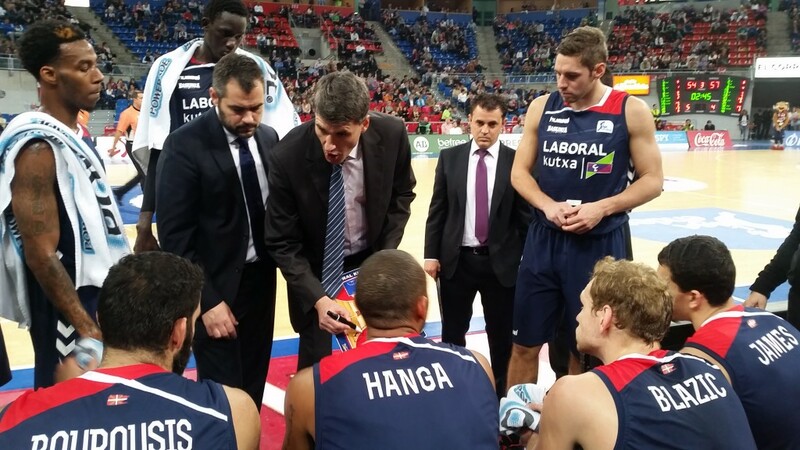 However, while Tabak certainly had his merits as a player, his coaching experience was questionable, as his previous jobs included Sant Josep Girona and Trefl Sopot in Poland, Baskonia (Laboral Kutxa) in Spain, and Fuenlabrada of Spain, a mid-tier ACB squad. With the exception of his tenure in Baskonia, Tabak really didn’t have the kind of preparation or experience to handle the magnitude of a job like Maccabi, especially in mid-season. There were some bright spots of course in Tabak’s campaign. They finished 3-3 in Euroleague play, and had some strong performances, especially in his first game as coach where they lost a heart-breaker to CSKA Moscow 88-82 (Maccabi led during most of the game). Maccabi also won another Israeli Cup, and finished the year 19-3 overall in Winner League play (they went 16-1 under Tabak). Unfortunately, much like Goodes’ first year, Maccabi struggled at the end, as they were upset in the semifinals by Maccabi Rishon, a team that finished 11-11 in Winner League play. 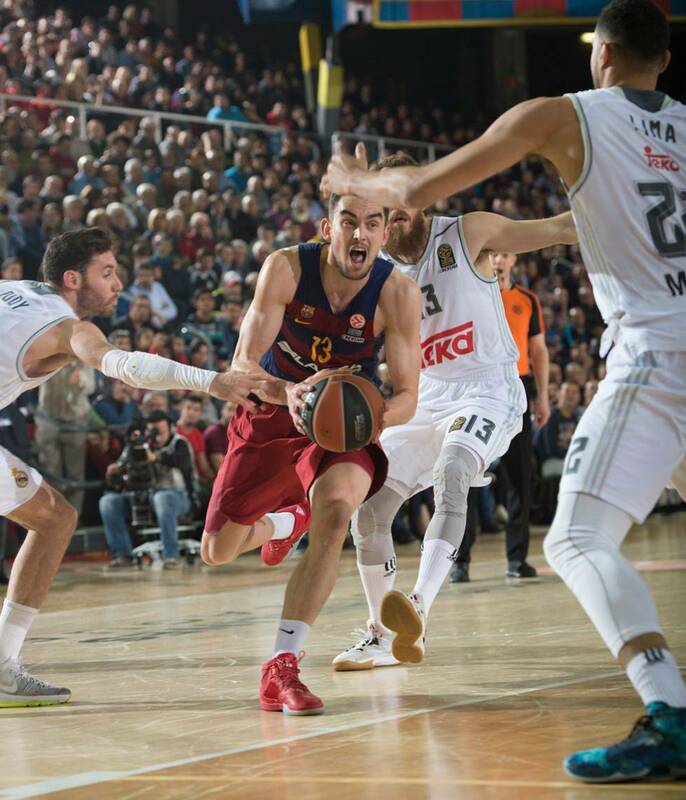 That finish was further compounded with a disappointing 2-4 performance in Eurocup play and not qualifying for the next round of the Eurocup, even though the competition was a far step down from what they had faced earlier in Euroleague play. Hence, with these two major negatives glaring on his resume, Tabak had the chips stacked against him in terms of coming back the following year, and that was proven to be true after Maccabi decided to part ways with him in June. With all this turmoil and overreaction, it seems crazy that anyone in their right mind would want to coach Maccabi. One mistake, and you’re looking for another coaching job the next day. But, Edelstein seems to be more than up for the challenge. As for Edelstein, he doesn’t have extensive Maccabi ties, as he has never been in the organization as a player or even assistant coach. And unlike Tabak, he wasn’t a legendary player with an extensive resume that spans over multiple teams and continents. But, Edelstein possesses something that neither of those previous Maccabi coaches had: success as an Israeli National Team coach. In the Eurobasket 2015, Edelstein led the Israeli team to a 3-2 mark in group play, which was good for second in the group and qualified them for the round of 16. Though Israel was beat soundly by Italy in the elimination round 82-52, Edelstein and his squad finished 10th in the tournament overall, their best finish in European competition since 2005, when they finished 9th. 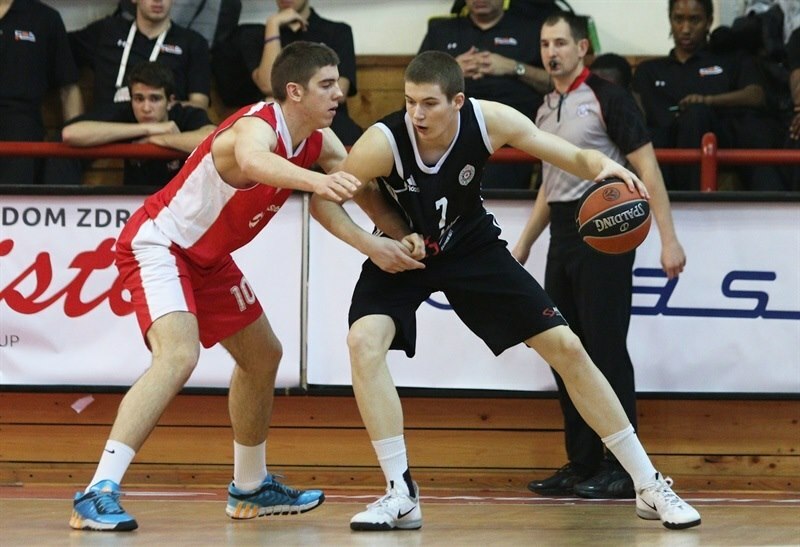 Furthermore, Israel also experienced some good wins in last summer’s Eurobasket, including a 75-73 nail-biter over Poland, a team with NBA player Marcin Gortat and college star Przemek Karnowski of Gonzaga. You can see in the video not only how Israel was able to score and create offense despite Poland’s massive size advantage in the paint, but how big the Israeli win was in terms of helping their country get more recognition on the mass European stage. Edelstein is definitely a coach who gets the most out of his talent, not to mention manage it quite well. Despite some considerable size disadvantages in comparison to some of their opponents, Israel was able to neutralize it by running a free-flowing offense that included a lot of outside shooting not to mention some good ball movement, as well as dribble drive action. What was impressive during the tournament was how Edelstein utilized talent on his squad like Gal Mekel and Omri Casspi. Edelstein ran a lot of plays to set up his two talented perimeter players, and it paid off on frequent occasion. Casspi scored 16.8 points per game and shot 47.1 percent from beyond the arc. As for Mekel, he averaged 15.8 points per game and a team-leading 4.6 assists per game, while also shooting 54.5 percent from the field. That should be comforting to know for Maccabi fans that Edelstein knows how to utilize his talent on his roster, and it is even more promising since Mekel will be back with Maccabi next year. Edelstein preaches ball movement, as evidenced during the Eurobasket where eight Israeli players averaged two or more assists per game. That is something that will fit in well with this Maccabi team, as they ranked 6th in the Euroleague in assists-to-field goals made ratio. Thus, with that kind of mindset already in place, and a couple of key players already familiar with Edelstein’s system and philosophy from the Eurobasket (Yogev Ohayon also played with the Israeli team in the Eurobasket as well), Edelstein should be able to transition seamlessly with the team during off-season workouts. Trevor Mbakwe (right) was one of those players who didn’t live up to the hype in his first year with Maccabi. One of the reasons Edelstein did not want to join this Maccabi team mid-year last season was due to the fact that he didn’t think the talent on the roster could be successful. In many ways, he was right and he made the sound decision to wait until the end of the year to see if the job was available again. In many ways, one could not fault Tabak for the job he did, as the roster was flawed in its composition from the beginning. Many of Maccabi’s off-season signings proved to be disappointments, including Jordan Farmar, whose second stint was hardly worth remembering. Farmar simply didn’t fit in this team, and he didn’t have the kind of “creation” and “penetration” abilities like previous points guards Jeremy Pargo (last season) and Tyrese Rice (the year before during their championship season). Not only did Farmar merely average 8.9 ppg on 20.3 mpg, but he also was second worst on the team when it came to plus/minus in Euroleague play, only above 17-year-old Dragan Bender, who barely played during the Euroleague competition. However, Farmar was not the sole culprit of Maccabi’s failures in 2015-2016. Maccabi failed to really get anything substantive from their post acquisitions, including Trevor Mbakwe and Ike Ofoegbu, who proved to both be extremely limited offensively, and Arinze Onuaku, who was not only limited to put backs and layups around the paint, but struggled immensely in pick and roll defense (as evidenced by his negative-3.4 plus/minus mark, fourth worst on the team). And though Brian Randle posted some good offensive numbers, 8.9 ppg on 60 percent eFG%, his lack of strength on the rebounding end was evident night in and night out. In fact, though Maccabi did a good job crashing the glass, as their 33.7 offensive rebounding rate was second-best in the Euroleague, they struggled to keep opponents off the glass themselves, as their 67.9 defensive rebounding rate was second-worst in the Euroleague. Maccabi actually defensively was not all that bad, as they were a Top-5 team when it came to opponent effective field goal percentage (51.7 percent). However, the fact that they couldn’t keep opponents off the glass and gave up numerous second chance opportunities did them in time in and time again, and that was usually due to their bigs not getting in good rebounding position or having the strength to keep opposing post players at bay. While Edelstein was the big hire of the off-season, Maccabi has made tremendous strides in terms of upgrading the roster. 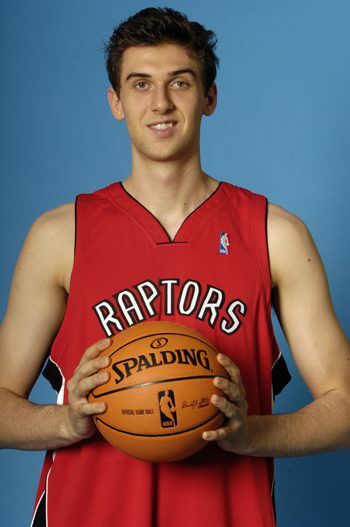 They made an immediate splash this summer by acquiring center Maik Zirbes, a rebounding force, and forward Quincy Miller, an inside-outside threat, from Crvena Zvzeda. Add that with the acquisition of guards Sonny Weems of the 76ers (and formerly CSKA Moscow) and DJ Seeley of Gran Canaria, and Maccabi definitely made a commitment to become more athletic and stronger with their roster on the floor. Furthermore, with the acquisition of these three new faces, as well as full seasons of Mekel (who didn’t join the team until mid-season after Euroleague group play), combo wing Sylvan Landesberg, and forward Itay Segev (who came in strong as a starter toward the end of last year despite playing as a 20-year old), Maccabi should be primed to not only outperform last year’s results, but perhaps make a dark horse run to the Final Four. Maccabi was not that far off from making the Round of 16 last year, and they showed glimpses of being a good team in Euroleague, Eurocup and Winner League play, but they just seemed to run out of gas at the wrong times. The depth they have next year will not only prevent that, but should help them be the most successful Maccabi squad since 2014. Now, how successful will that be? 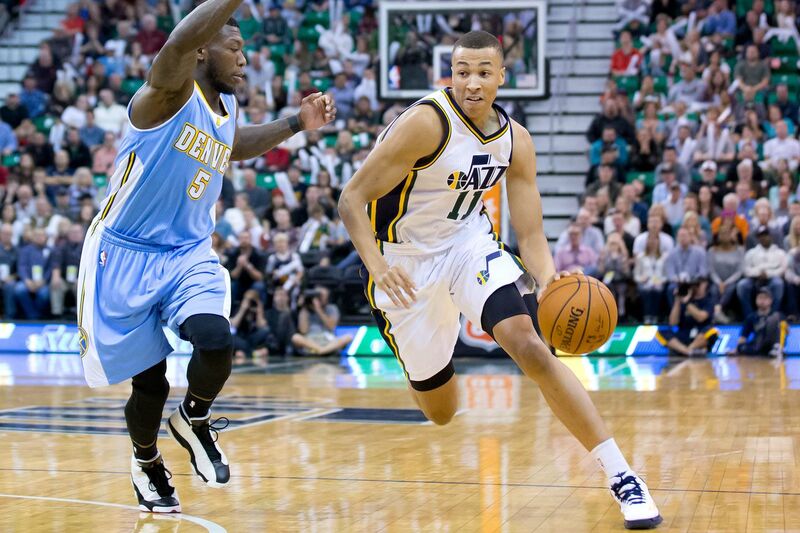 It is hard to determine, since there are a lot of players with futures in doubt. Will Mbakwe and Randle be back, not to mention Devin Smith, who has been a rock for this team for years? Will there be enough touches for new players such as Miller, Weems, and Seeley, who have tended to be high-usage players in their previous stops? Can Zirbes and Segev and whoever else is playing in the post, solve Maccabi’s rebounding woes from a year ago? And lastly, can Mekel, (who most likely will the starting point guard next season), an Israeli who is playing with his home country’s most popular and successful team, reinvigorate this proud franchise, not to mention his own professional career? Quincy Miller (30) and Maik Zirbes (33) are new signees who will be key to Maccabi success next year. There are a lot of questions for Edelstein to answer and unfortunately, he will have to do it in a quick amount of time. However, like he said in his opening interview after being hired, he knows the pressure that comes with this position and he expects to accomplish great results in a limited amount of time. It’s why he took the job, and why he only wanted a one-year contract: there is no “rebuilding” with Maccabi Tel Aviv. You either produce results or you get out and they find another person. But to be fair, this is the strongest a Maccabi team has looked for a long time, even stronger perhaps on paper than the 2014 team that won a championship. If Taylor Rochestie and Smith are back, they will have considerable scoring on the perimeter to go along with their new signings, not to mention longtime reserves such as Ohayov and Guy Pnini. While there are some questions on the block, Zirbes will be one of the strongest post players that they have had since Big Sofos a couple of years ago, as Zirbes, though not the most finesse player, is the kind of banger that can keep other teams from pushing around Maccabi in the paint. Hopefully that kind of attitude will rub off on Segev and whoever else Maccabi brings back or acquires to solidify their post depth (whether it’s Randle, Mbakwe or someone else). 2016-2017 will be a critical year for Maccabi. A new coach and a new format with less teams in the Euroleague means it’s more critical than ever for Maccabi to perform. They have the kind of coach with excellent experience who has been saying the right things to demonstrate that he is “all in” in terms of making Maccabi a winner again. They also have added the right kind of pieces roster-wise, showing that management is willing to spend whatever it costs to make this team better. And they have the motivation, as this franchise is hungry to show that the last two years were a blip on the radar, and that they are ready to return to their rightful illustrious place in the European basketball scene. Now, it’s just a matter of all those factors melding together. Let’s hope it happens sooner rather than later. When he was hired in May of 2014 by the Cleveland Cavaliers, David Blatt echoed those words to the media public. Blatt, was fresh of a Euroleague championship victory with Maccabi Tel Aviv over longtime European and Spanish power Real Madrid, and the Cavs, who had missed the playoffs for the fourth straight season, were looking for a refreshing voice to lead their team going forward. And it made sense for the Cavs to hire Blatt. Not only did he prove he could win at Maccabi, both in the Winner League in Israel and in the Euroleague, but he also found success as an international coach, leading Russia to a surprising bronze medal in the 2012 Olympics. For Blatt, the lure of coaching a NBA franchise was a lifetime challenge he coveted and desired, much like any coach who looks for the next “step up” in the coaching ladder. Cleveland, with the top draft pick in the 2014 NBA Draft, had some valuable young pieces like Kyrie Irving, Tristan Thompson, Dion Waiters and Anthony Bennett at the time, and Blatt, who had a history of producing overachieving teams with limited talent, seemed to be like a good fit, and a breath of fresh air that the organization needed after retreads like Byron Scott and Mike Brown (again) failed in four playoff-less seasons Post-Lebron. Of course, Blatt didn’t expect to be a head coach so quickly in the NBA: when he stepped down originally from Maccabi Tel Aviv, he appeared to be headed as an assistant to Golden State or Minnesota to situate himself with the NBA game, similar to Ettore Messina before him, who became an assistant with the Lakers and then Spurs after a successful tenure with CSKA Moscow. (Apparently, Steve Kerr wanted Blatt badly and it seemed to be a done deal until Cleveland called and interviewed him.) Nonetheless, he was given the opportunity as NBA head coach, and Blatt wasn’t going to turn it down, even if he was not as familiar with the American game like the European one. However, with his Princeton-influence, strong defensive mentality, and fiery personality, Blatt looked like he would have some success, and would make the necessary adjustments over time to become a successful NBA head coach. After all, he was going to coach the Cavs, who had suffered mediocrity since Lebron James left town. Just getting them into playoff contention would be enough; a playoff berth, even as an 8 seed, would be cause for celebration and validation of his hire. And then less than two months later, this happened. 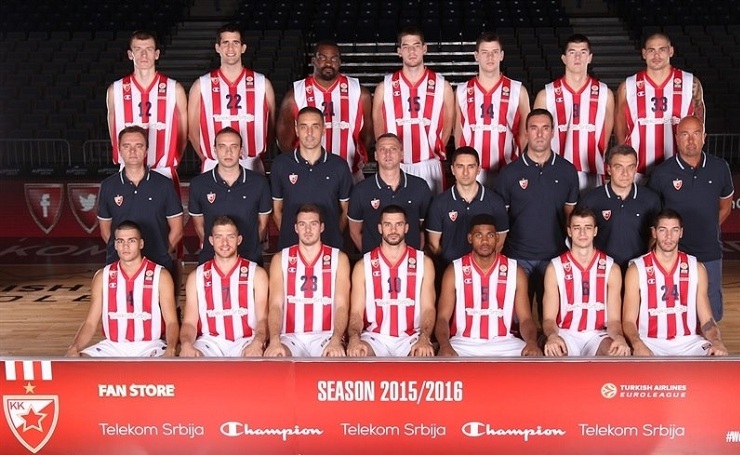 Who would have thought that it would be the beginning of Blatt’s long, painful, and frustrating march back to Europe? The relationship between Blatt and Cavs star Lebron James seemed strained and doomed from the start. To be fair, Blatt never asked to coach Lebron and Lebron probably would have never asked Blatt to coach him either. Blatt was coming to coach a young team, one that was going to be led, in his mind, by No. 1 pick Andrew Wiggins and former No. 1 pick Irving and supported by Thompson and Bennett (oh yeah…I forgot Bennett was a former No. 1 pick too…somehow) in the block. In Blatt’s mind, his young guys would grow into his system, be used to his authority and demands, especially considering Wiggins and Irving had been used to demanding coaches in college like Bill Self at Kansas and Coach K at Duke (Wiggins and Irving, respectively). And though Blatt had not really achieved anything in the American game as far as coaching, that was going to be fine: neither had any of the young players on the Cavs. However, with Lebron now on board that all changed. After Summer League, Wiggins was traded to Minnesota along with Anthony Bennett and some other pieces for Kevin Love, a NBA Veteran and All-Star. Now, the hope in Cleveland, with the Big 3 of Lebron, Kyrie and Love wasn’t just to make the playoffs, it was to win the Eastern Conference AND a NBA Championship. Blatt of course didn’t back down from the challenge, but in retrospect, I don’t think he realized the magnitude of media scrutiny as well as intensive player ego management that would haunt him for his one-and-a-half season stint in the city of Cleveland. On paper, there is not much you can argue with when it comes to Blatt’s tenure. He went 83-40, including 53-29 in his first season with the Cavaliers, leading them to an Eastern Conference Championship, as well as 2 wins in the NBA Finals, the first two wins ever in Finals history for the franchise. He also did this without Kevin Love throughout most of the playoffs, and without Irving from games 2-6 of the Finals, as well as some games during the playoffs. This year, the Cavs started 30-11 and Blatt had them as one of the better teams in terms of offensive and defensive efficiency this season (they were 3rd and 10th in those categories this year). People questioned Blatt’s authority on the team, as Lebron had grown a reputation for tuning out or overruling Blatt during timeouts and play calls. There was widespread consensus on the team that Tyronn Lue was more respected and listened to on the coaching staff from the players; what makes this more awkward is that Lue was a finalist for the Cavs job, though Lue on frequent occasion has gone out of his way to say he didn’t agree with Blatt’s firing. There were reports that Blatt seemed to be overwhelmed by big moments, as he froze up and panicked when diagramming plays during timeouts during crucial stretches of the playoffs (the Chicago series having several reported instances of this). Blatt treated other Cavs players differently from Lebron during practice, as he would go out of the way to criticize role players while not saying anything to Lebron, even if James was the main culprit of the mistake. The media and Blatt did not get along, as Blatt chastised the media with sarcastic answers and patronized their questions during press conferences and interviews. For any basketball coach, being typified in such a way is not only an insult to the work and sacrifices one makes to be a head coach (as is especially true with Blatt who really had to work hard to get every head coaching job he earned, especially in Europe), but also a death stamp of sorts when it comes to future jobs. Just look at Mike Brown, who cannot get another head coaching position in the NBA after failing in Cleveland a second time (granted without Lebron, but it confirmed the “cannot win without a superstar” talk). It really is unfair. It’s one thing if Blatt had no coaching experience. It’s one thing if he came to the States openly wanting to coach a Lebron James-led team. It’d be one thing if he wasn’t a four-time Israeli coach of the year, a Russian Federation coach of the year, and a Euroleague coach of the year as recently as two years ago. 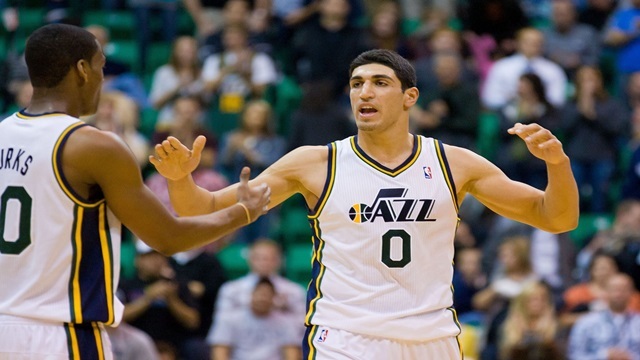 But here we are…after 123 NBA games, David Blatt is going to Turkey. Darussafaka is a totally different landscape than Blatt’s previous European stop, Maccabi Tel Aviv in Israel. Of course, there is a cultural change that Blatt will not only be making from America, but his last experience in Europe. Blatt is Jewish and Israel is primarily a Jewish state, so Blatt fit in very well not just in the organization and city of Tel Aviv, but the culture of Israel as well. On the contrary Darussafaka is located in Turkey, primarily a Muslim country. And hence, it will be interesting to see how a mostly Muslim fanbase will react to a Jewish coach leading their team, though I think Blatt understands there may be some bias against him due to his cultural background. (And to be fair, Istanbul has really grown as a city and is more progressive than most Muslim-majority countries; simply look at many of the non-Muslim Europeans and Americans on clubs in the Turkish Basketball League). And yet geographic culture is not the only issue; there is also a difference in basketball culture from Maccabi as well. 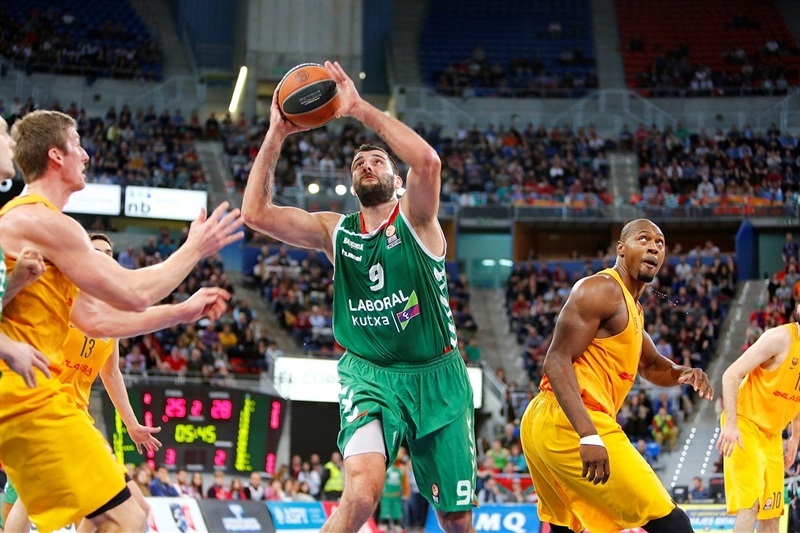 Last season was Darussafaka’s first season in the Euroleague, and the club only has a modest history of success. The last time the club won the Turkish Basketball League Championship was in 1962 (and the other time was in 1961) and from 2010-2013, the club was regulated and participated in the Turkish League’s second division. And honestly, it makes sense that Darussafaka has struggled to be in the limelight: they share the same city with other bigger clubs like Fenerbahce, Galatasaray, and Efes, three traditional Turkish powerhouses with fervent fan bases and wealthy ownership groups (and who will also be participating in the Euroleague next year; Galatasaray missed last year, but will participate again after winning the Eurocup last season). However, in 2013, Dogus Holding (a financial conglomerate based out of Turkey) bought the club and has made an effort to help Darussafaka compete with the traditional basketball powers based out of Turkey. It started with hiring of long-time Turkish coach Oktay Mahmuti, who had coached other Turkish clubs like Efes and Galatasaray to various degrees of success (he also coached Italian club Bennetton Treviso). 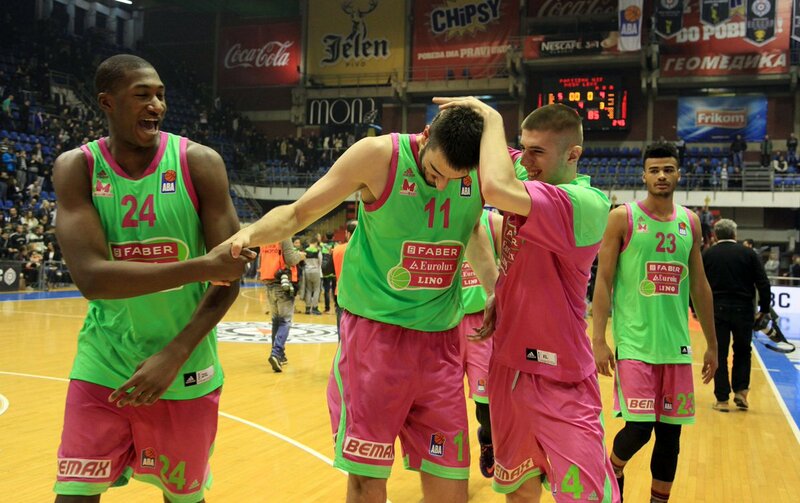 In 2014, Darussafaka won the Turkish Second Division and were promoted back to the first-division domestic league. 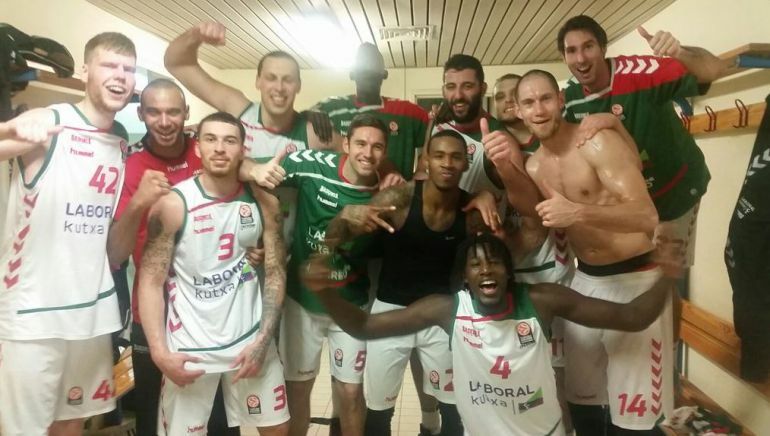 And the following year, they finished 3rd in the Turkish Division and qualified for the Euroleague as a wild card. This season was a bit of an up and down campaign for Oktay in his third year. 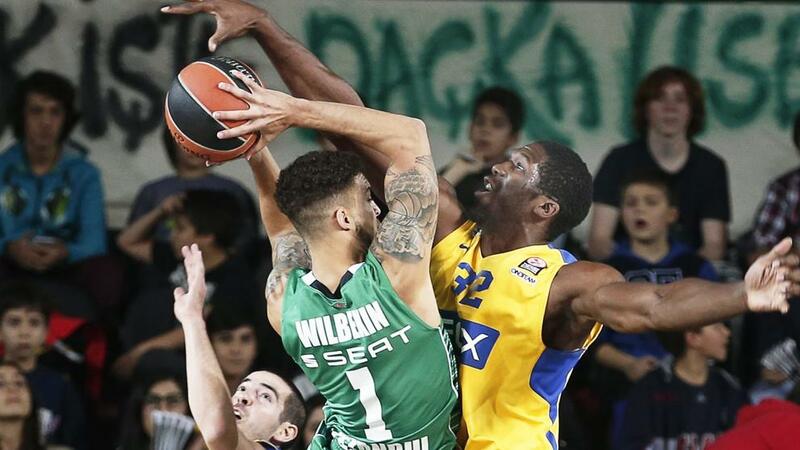 Despite it being the first year in club history in the Euroleague, Darussafaka qualified for the Round of 16, ousting long-time power Maccabi in the their group to do so for the final spot. However, the Round of 16 was far less kind as Darussafaka missed the playoffs by going 5-9 and finishing 6th in their division, also behind Turkish rival Efes, who went 7-7 (though as consolation, Darussafaka did finish better than Cedevita Zagreb of Croatia and Unicaja Malaga of Spain). Domestically in the BSL (the Turkish Basketball League), the results were a little more disappointing. Darussafaka finished fourth in the regular season standings at 20-10 and were ousted in the semifinals by Efes convincingly 3-0. Though there had been considerable steps taken by Oktay and his club since his hire, Oktay didn’t exactly generate the most excitement out of Turkish basketball fans as well as the Darussafaka fan base, which is run by new owners to the European basketball scene who are more akin to the “tech” owners that we see in the NBA today like Robert Pera of the Grizzlies and Vivek Ranadive of the Kings. 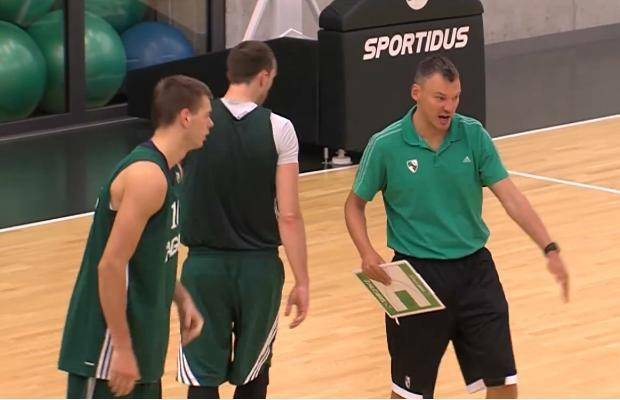 The biggest pitfall for Oktay in his tenure in Darussafaka was his defensive-oriented style of play, and his teams lack of ability to generate consistent offense. Granted, that has been Oktay’s calling card in his coaching career, and he did a decent job at it with Darussafaka last year, as their 102.8 defensive rating was actually 5th best in the Euroleague last season. 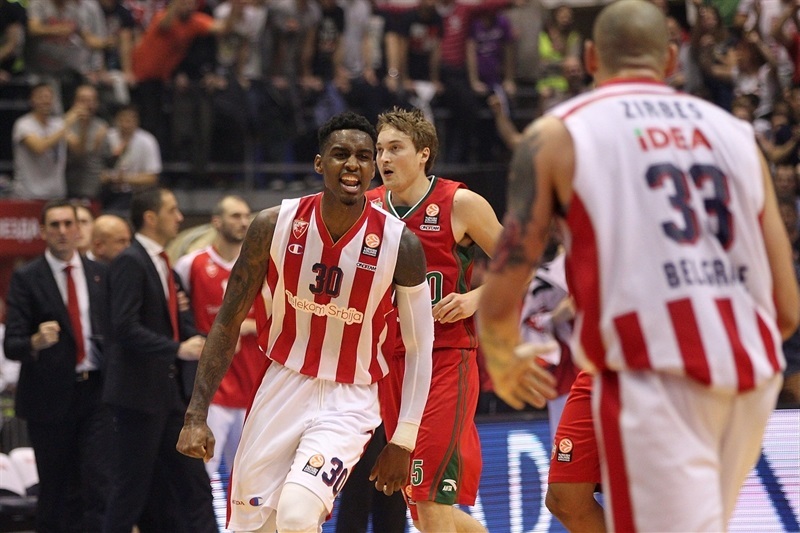 However, the offense was not just boring, but borderline atrocious, as they posted an offensive rating of 99.2, which was seventh-worst out of all Euroleague teams last season. This led to a negative efficiency difference rating of minus-3.6, which put them below average and barely over Bayern Munich (minus-4.0) and Maccabi (minus-4.8), two teams who didn’t even qualify for the Round of 16. With the combination of an ineffective, lackluster offense and rather mediocre attendance numbers (Darussafaka was 5th lowest in the Euroleague when it came to home attendance), it made sense that a change was deemed essential by ownership. Oktay was a consistent force and was going to keep them competitive as the head coach. However, with only 16 teams now qualifying for the Euroleague starting in 2016-2017, Darussafaka not only needed a big name who would help Darussafaka make the transition from a “B-quality” team to an “A-quality” one. Oktay wasn’t going to give them that, and Oktay wasn’t going to help them attract bigger names on their roster as well. And that is where Blatt comes in. 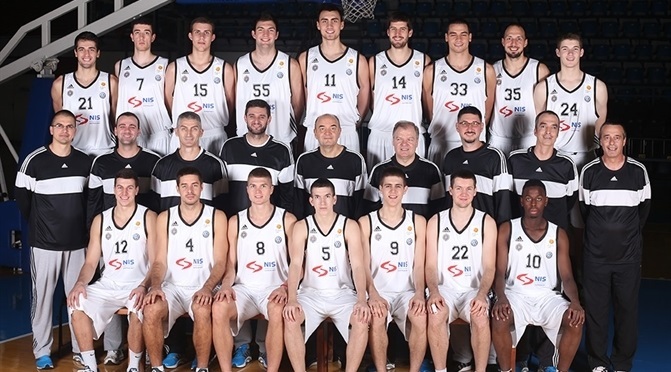 Already in his comfort zone in Europe, Blatt talked to European prospects at the Adidas Eurocamp this summer. Apparently, Darussafaka was in talks with Blatt in April and had made him an offer around that time. However, Blatt wanted to test the NBA coaching waters, as he interviewed for vacant NBA jobs such as the Knicks one (apparently his desired choice), the Kings position (his second choice) and the Rockets job. After all three jobs went to other candidates, and not impressed by other offers (there were rumors that Blatt was asked to come back to Maccabi, but he passed on the offer), Blatt signed with Darussafaka, impressed by their commitment from ownership and management (he has a multi-year contract worth around 3 million euros per year), and motivated by the chance to build something special in Istanbul. The cupboard certainly won’t be bare next season for Blatt. Darussafaka has a nice collection of American talent such as returning scorer Scottie Wilbekin, former Notre Dame star Luke Harangody, Reggie Redding, Jamon Gordon, and Marcus Slaughter; European talent such as Georgian Manuchar Makroishvili and Serbian Milko Bjelica; and domestic talent such as former Celtic Semih Erden and Emir Preldzic. And with Blatt now on board, it will be interesting to see what kind of other talent Darussafaka will be able to attract this off-season, especially considering Blatt’s European success and NBA experience (despite all the issues, he did still win an Eastern Conference championship, which is more of an accomplishment than a lot of NBA coaches not to mention current European coaches). It is to be expected that Darussafaka will be able to attract another name or two during this signing and transfer period. Blatt has never shied himself away from a challenge and that certainly is evident in Darussafaka, though of a different sort. With Maccabi and Cleveland, he had to manage big expectations, and he was able to be successful with such lofty goals placed upon him from upper management. Darussafaka is a different challenge. The history isn’t there like Maccabi, nor is the superstar there like in Cleveland. 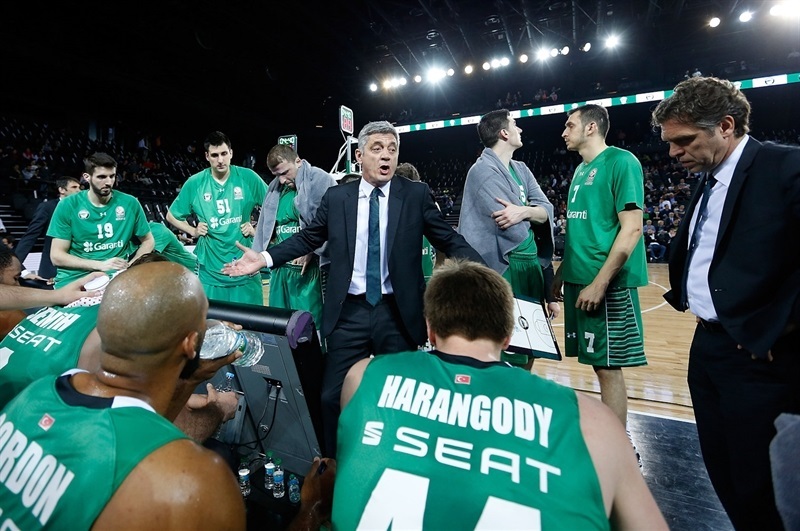 Darussafaka’s most successful season was arguably last year, and yet, they fired their coach. If anything, this situation feels more like a Memphis Grizzlies or Sacramento Kings scenario rather than the Cleveland one he faced in the NBA (unrealistic expectations combined with a “no-so-elite” team). And yet, this current job in Istanbul, might be more in Blatt’s wheelhouse. 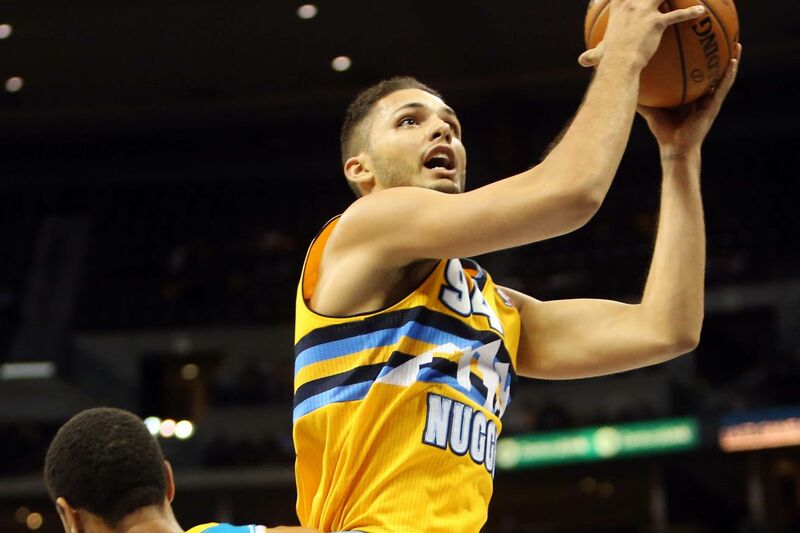 He relishes being the underdog and surprising people. He has done it in his coaching career countless times. He won an Italian League title with Benetton Treviso, even though they were one of the more under-the-radar teams in Italy. 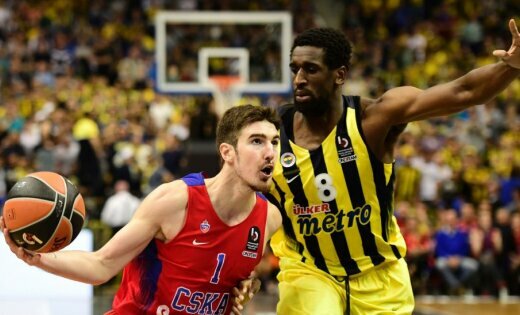 He upset two powers in the Final Four in CSKA Moscow and Real Madrid during his 2014 Euroleague title with Maccabi. And he led Russia, who had fallen off the global stage after the break up of the Soviet Union, to not only a 2007 Eurobasket title, but a bronze medal in the 2012 Olympics, despite coming into each of those tournaments as heavy underdogs. This is exactly the kind of coach Darussafaka needs. They need someone to help charge fan interest in Istanbul in their club. They need someone to utilize their talent to their maximum ability. They need someone that can help them go toe-to-toe with Turkey’s best clubs, not an easy task after Fenerbahce was one quarter away from nearly winning the Euroleague championship. Yes, Darussafaka has not played a game yet, but they are a team that should be watched during the 2016-2017 domestic and Euroleague season. Blatt and Darussafaka seem like a perfect match. 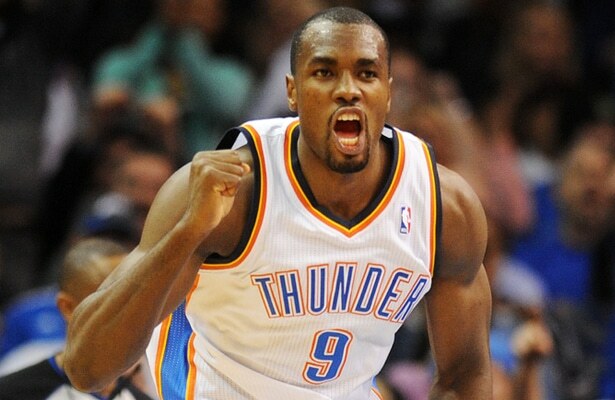 I just wonder how long this tenure in Turkey will be before the NBA starts calling again.